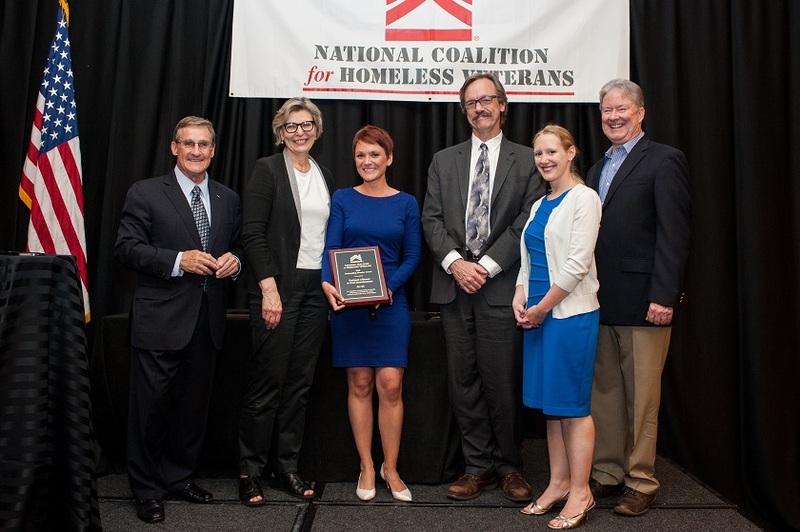 The Outstanding Partner Award is presented to an agency that has shown dedicated service to partnering in NCHV’s mission and goals, and building collaborations that help move us closer to ending homelessness among veterans. This year’s Outstanding Partner Award was presented to The National Alliance to End Homelessness. The Alliance is a valued partner and trusted ally in the drive to end homelessness among veterans. The Alliance’s mission involves restoring dignity to those on the streets, and connecting all persons, including veterans, to a hand up to independence and opportunity. NCHV is honored to stand with our partners at the National Alliance to End Homelessness in this fight to preserve and enhance human dignity.